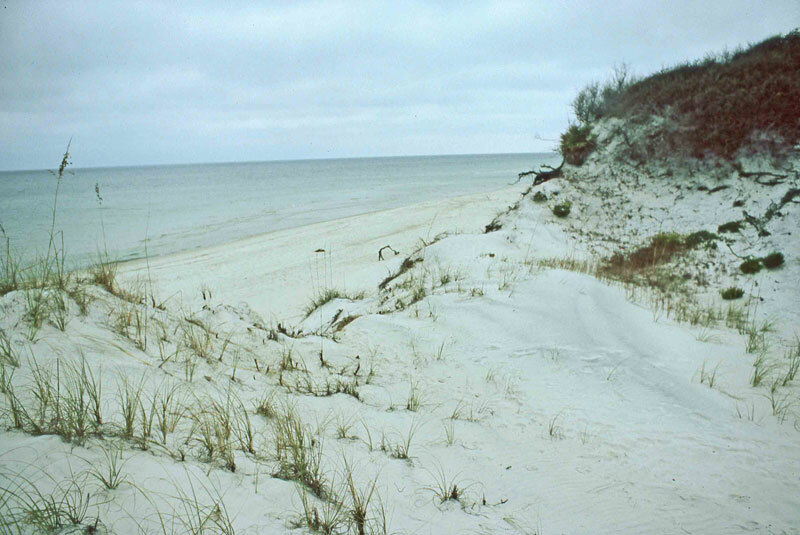 The remote Cape San Blas on the Florida Panhandle is photographed here in the fall. 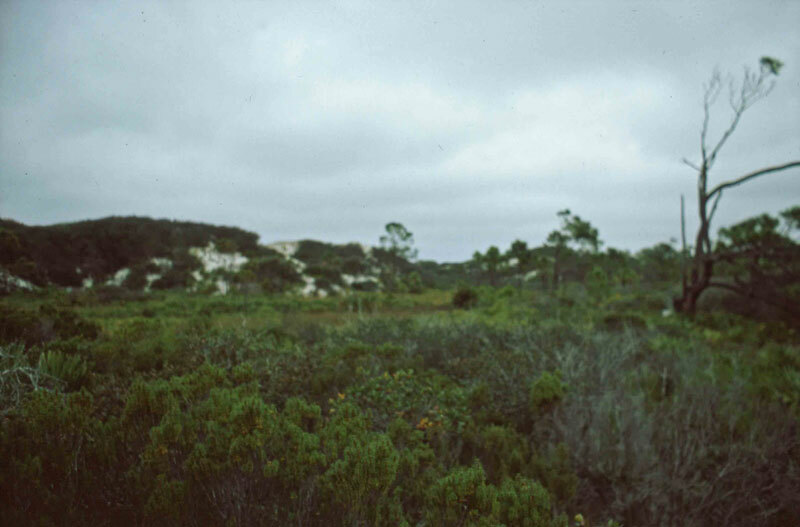 Huge vegetated dunes and many trails for exploration can be easily accessed from the tent sites at St. Joseph State Park. Pine forest is the setting of the camp. 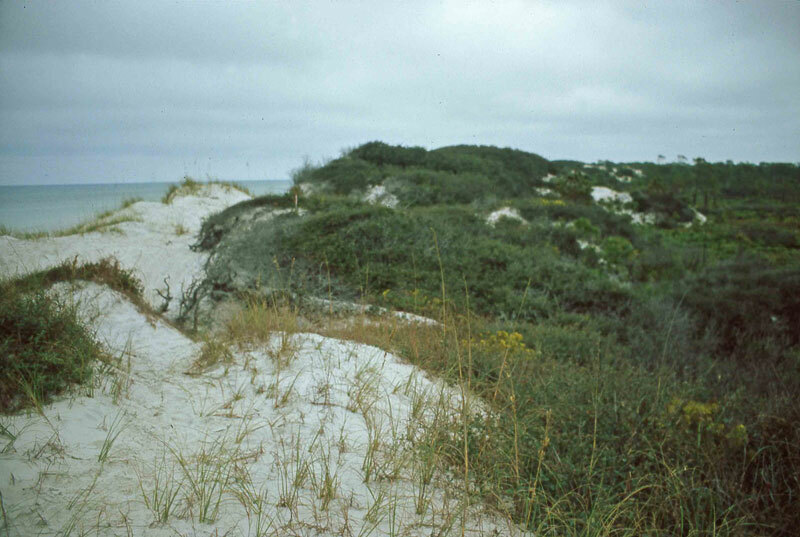 Cape San Blas is a cuspate foreland, a body of sand in a triangular formation, similar in shape to the Carolina capes and Cape Canaveral. (1) On the Apalachicola River Delta, Cape San Blas is part of a barrier island chain along Florida’s northwest coast that stretches westward, across the bay of Mobile, AL. 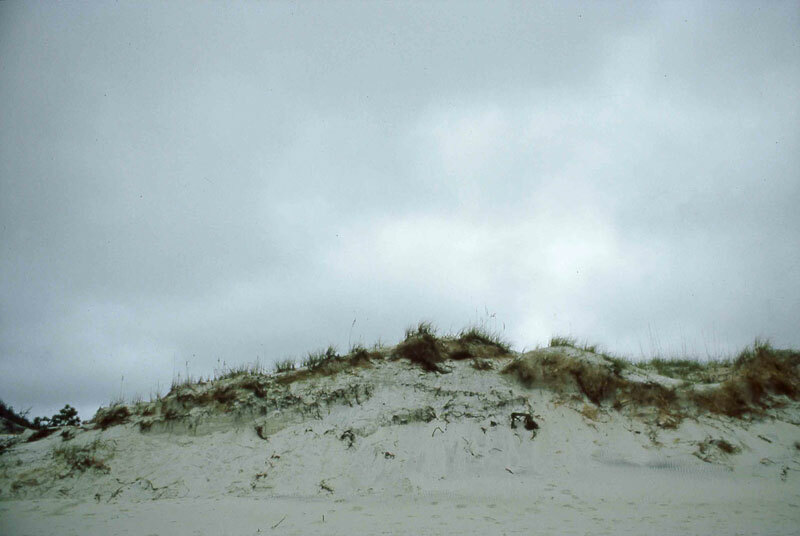 Cape San Blas is the southernmost headland at the “elbow” of two peninsulas, called “unstable strips of sand” in the text Living on the Edge of the Gulf, Duke University Press. (6) To the west is St. Joseph peninsula, mostly about half a mile wide, bordering St. Joseph Bay, and to the east of Cape San Blas is Indian peninsula. 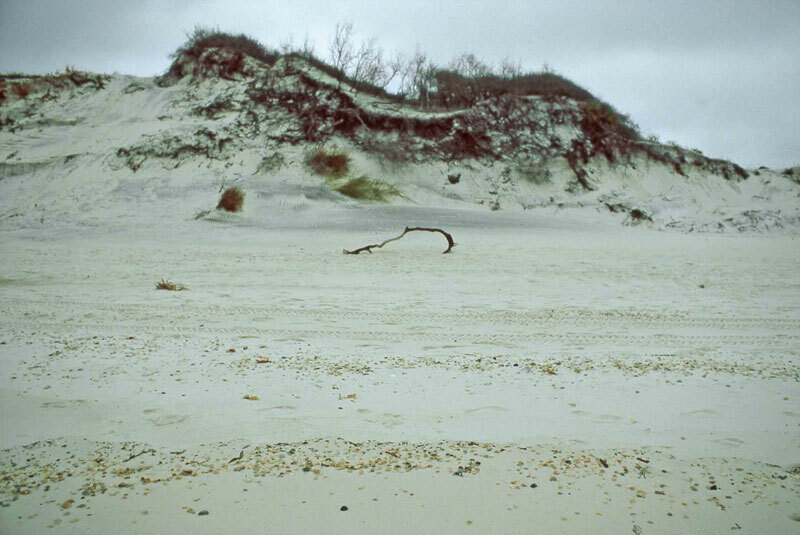 Further east is another set of barrier islands in a triangular formation—Saint Vincent Island, Saint George Island, and Dog Island. Shoals feed the islands with sand. 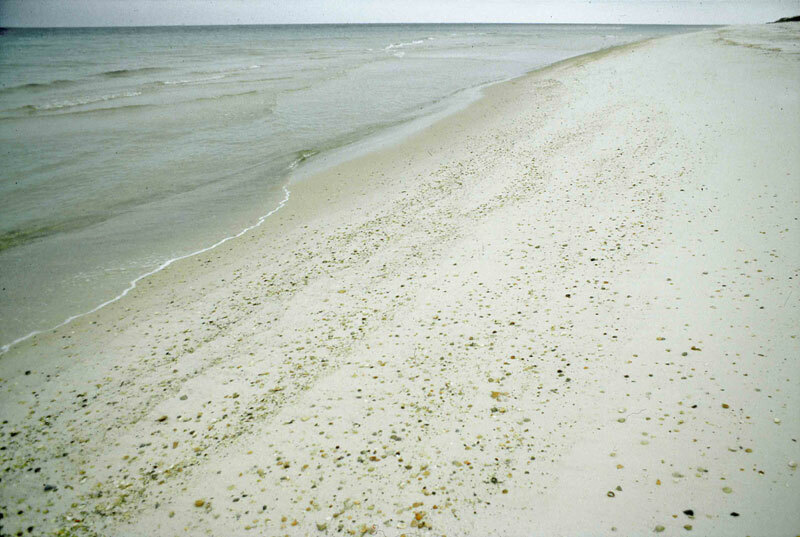 The source of the large shoals of sand “extending seaward from each cape” is “somewhat of an enigma to coastal geologists,” according to the text Living with Florida’s Atlantic Beaches, Duke University Press. (1) Likely, a river delta formed when the sea level was lower, and later flooded with the rising seas. 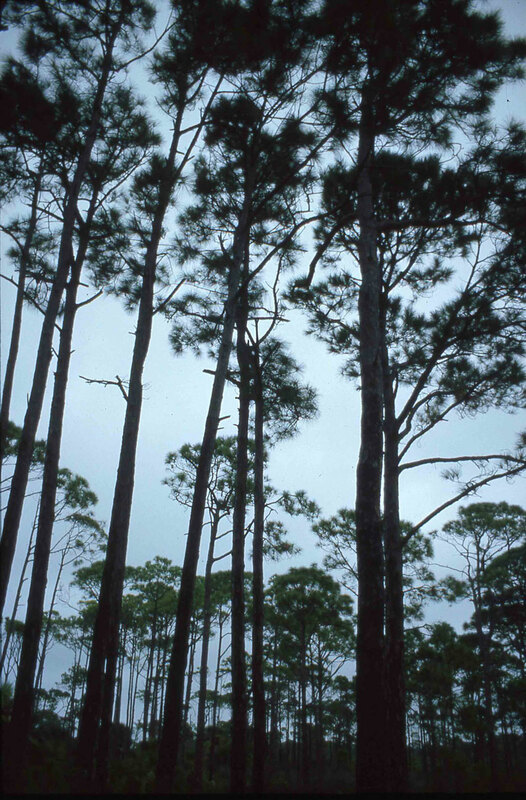 The maritime forest flourishes on secluded Cape San Blas. Shells are the main component of the wrack line on the beach. 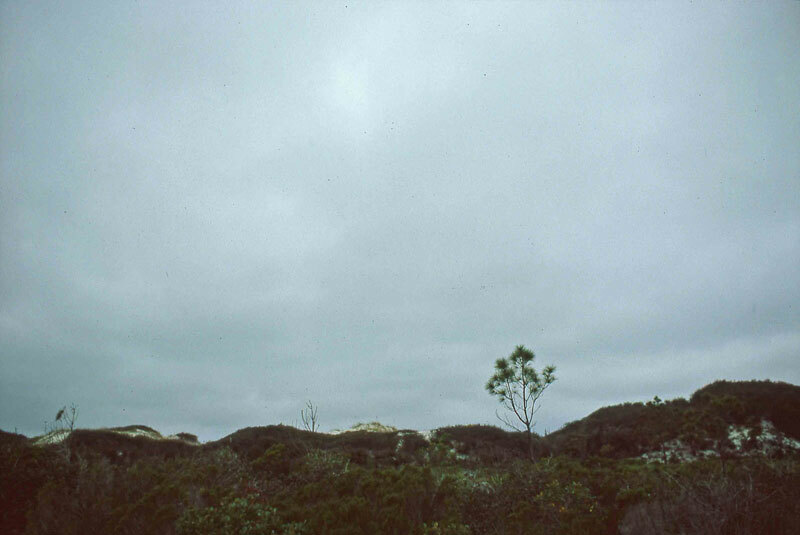 Foliage is whipped by the wind atop the stunning white dunes. 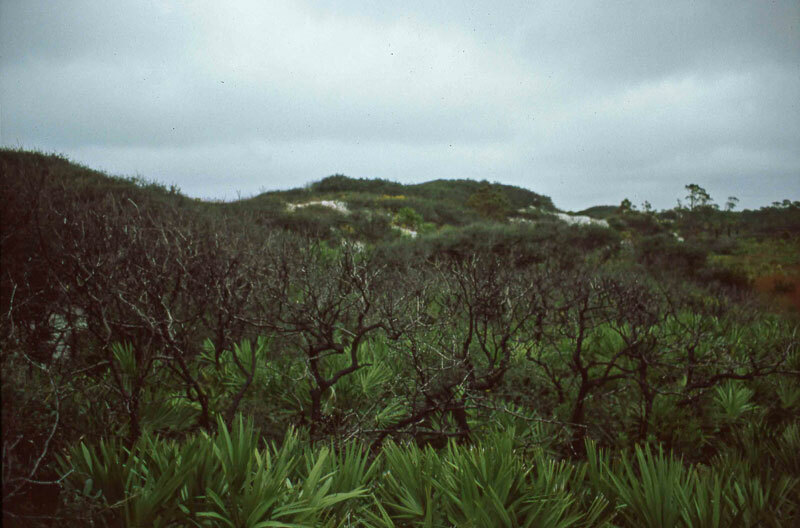 Trees, shrubs, and saw palmettos grow in dense patches protected in dips between the hills of sand. (1) Living with Florida’s Atlantic Beaches: Coastal Hazards from Amelia Island to Key West (Living with the Shore), David M. Bush, et al., Durham, NC: Duke University Press, 2004, pg. 177. (2) Living on the Edge of the Gulf: The West Florida and Alabama Coast (Living with the Shore), David M. Bush, et al., Durham, NC: Duke University Press, 2001, pg. 6. (3) Living on the Edge of the Gulf: The West Florida and Alabama Coast (Living with the Shore), David M. Bush, et al., Durham, NC: Duke University Press, 2001, pg. 8. (4) Living on the Edge of the Gulf: The West Florida and Alabama Coast (Living with the Shore), David M. Bush, et al., Durham, NC: Duke University Press, 2001, pg. 20. (5) Living on the Edge of the Gulf: The West Florida and Alabama Coast (Living with the Shore), David M. Bush, et al., Durham, NC: Duke University Press, 2001, pg. 39. (6) Living on the Edge of the Gulf: The West Florida and Alabama Coast (Living with the Shore), David M. Bush, et al., Durham, NC: Duke University Press, 2001, pg. 155. (7) Living on the Edge of the Gulf: The West Florida and Alabama Coast (Living with the Shore), David M. Bush, et al., Durham, NC: Duke University Press, 2001, pg. 156.